Inspiration after Inspiration is what I feel is what this blog post will signify, a life for me that began with a noble but not a perfect ancestry, from the land of China that preserved much that I only began to discover as I sought to unravel the mysteries of my roots. To most of our family members, I believe having a reunion of our family in the country of USA is merely a natural tendency of close ties or bonding of our family that grew from a simple belief of our faith, that Families are Forever. For me who attained much experience in an active Body Mind Spirit multi-dimensional life, my views or feelings may be more than what has been thought of by many, i.e. a mere family reunion. Personally, it testifies of the blessings of the creator of a Mother Earth and the lives on it that on one hand seem so dependent on being nurtured from young, and on the other hand seem to be a sojourn of spirits that existed long before we were born to be tested or shaped by the challenges of mortality, even sufferings or torment for some, to become a master of our own destinies or the creator of our own future. Our family roots were from China, and as descendants, we grew up in a peaceful middle strip of land of Malaysia and Singapore to find our lives today strongly influenced by a great and powerful nation of America, who else isn't today? This great and modern nation has broken many traditions of the world, become a melting pot of other nations and influenced me to be who I am but yet made me feel very confident to live in the land that I grew up in to continue to learn, serve and help others understand the true purpose of our lives no matter where we live. I feel ready to head off to the airport now... to continue the writings of this Epic Journey that I feel is another adventure to teach me more than I thought I knew! A good example is while the baby's blessing of Baby Leah was announced in an earlier post, I thought I the grandpa might be the only family member there visiting all the way from Malaysia/Singapore. 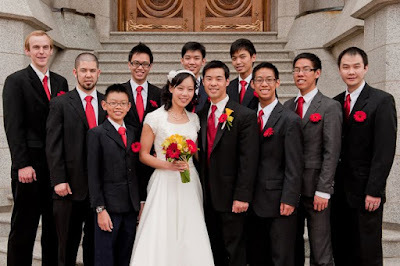 To my surprise I later found as my wife's niece was marrying our son-in-law's younger brother Justin in Utah in June too, our 2 older boys who are her cousins would be flying there as well. The two youngest with Ern the older serving in the army and Ray on an internship program were not expected to be able to leave the country. 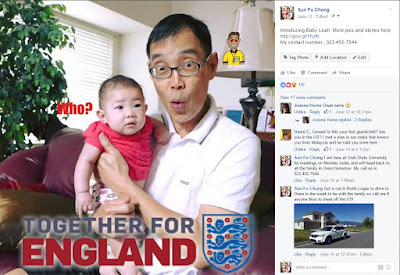 When I arrived in Singapore on June 3, I discovered that Ern had got permission from his senior officer to take a short leave of 5 days to leave the country and join the family reunion that was happening there and had booked his own air ticket online! I immediately felt sad for Ray as he would be the only one left behind so I called him at work to talk to his supervisor and told him I would head out to the NPark HQ office at Botanical Gardens to meet with him too. It turned out that the supervisor did acknowledge the importance of a family reunion and said he would give the permission required but Ray had to seek the approval of also his College. On first thing Monday morning I sent out my email to a senior staff in Ray's college stating the reasons why Ray needed to go. Within a couple of days, a positive reply was received and Ray got a seat on Thursday night to fly off to Utah USA! I, therefore, learned that it never hurts to try what is said to be impossible to find out that it really is possible, turning out to be another recorded miracle for us. I am glad Ern did try for himself first and was successful to cause me to try for Ray too when I arrived in Singapore back from KL. 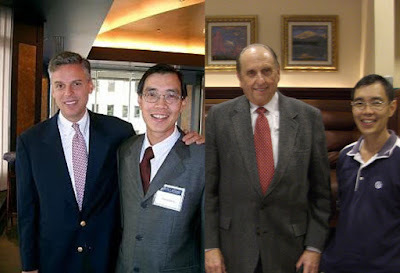 It will be a great and joyful Familylane reunion, with all of us present, to happen again after the last one in June 2014 held in Singapore or a previous one in May 2011 in Utah with Mom alive and a sad one to be together in Singapore when Mom passed away in Nov 2012 but without Han who was serving a mission in Manchester UK. The few short days in Singapore taught me some lessons of the 3rd generation of the Chong clan born in Malaysia and outside China, now spread out to Singapore and the USA. The 1st generation being my father born in Penang and my mother too. 2nd generation is me and my siblings all born in Malaysia. 3rd generation is my 6 children all also born in Malaysia. Since the two oldest girls of our children are now living in the US, my first granddaughter born in the US will start the first branch of our Familylane Chong clan born in the USA, being our 4th generation counting from my parents who were 1st to be born in Malaysia outside China, the roots of our ancestry. I am now in Los Angeles flying to Salt Lake City where the Familylane members seem to be gathering in a beautiful valley up in the Mountains of Utah that attracts us! Furthermore on the Chong Clan, counting from the 1st descendant who migrated from North China to the coastal districts to be known today as "Hakka" people or "Guests" of the southerners, I am supposed to be the 20th generation as my father is the 19th as discovered in an experience shared in this journal post. 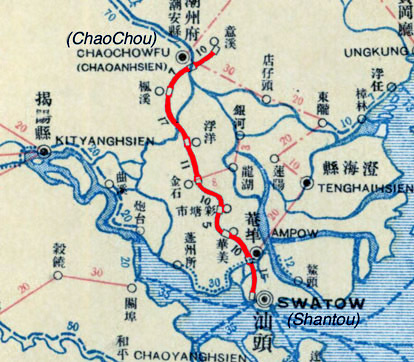 It took me many years to find the town of Songkou and the home of my Great--grandfather as shared in a later spiritual journal post. As Han the oldest boy arrives the next morning in Los Angeles about 11am, Fei dropped me at the LAX airport earlier in the morning to catch my flight to Salt Lake City allowing her time to pick Han at the same airport just a little later. 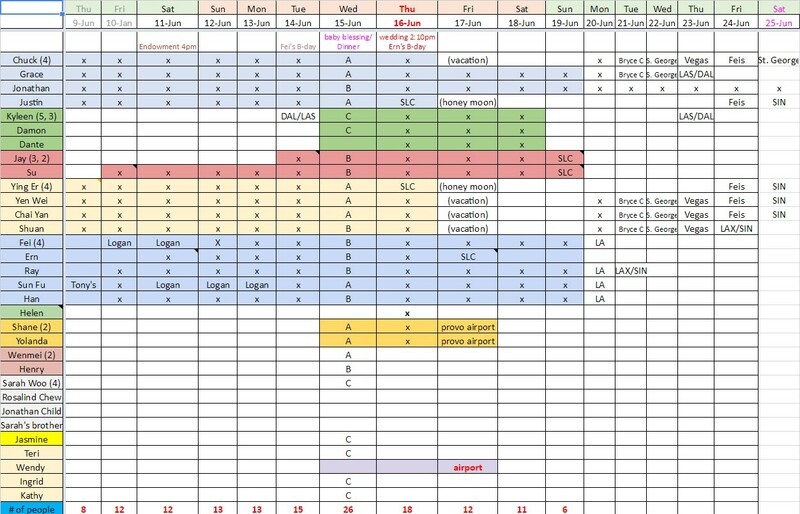 All the 5 boys, counting Dad the KL City Kid, had booked different airlines leaving Singapore on different flight days and arrival times. Call it the Chong mania response of American-like freedom and independence while the girls closer to Utah would come separately due to geographical reasons as one is living in Boston and the other in Los Angeles. Then the plane flies across Utah valley with mountains in the background and a continuous spread of houses on both sides of what I can identify is the main I15 freeway running from north to south of Salt Lake valley. In Utah Valley, the excitement mounts! I got to carry our first grand-child on 11 June 2016, a baby girl named Leah by Su Min and Jay Liu. On the same day, we got to be with Shuan for his first temple session in the new Provo City Center Temple in preparation for him to leave for his London Mission. 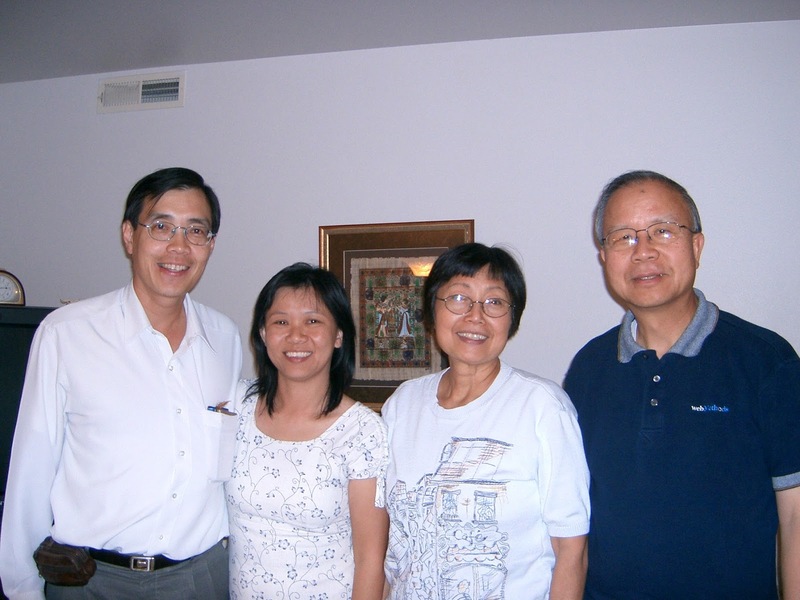 Going through the Temple session for the first time with Shuan is Ying Er, a close cousin of the boys pictured with Shuan above with her parents. She can be said to be in preparation for a different "M" mission! Ying Er is getting Married to Justin Liu, the good-looking young man pictured above, in a few days time! As Shuan is going out for his mission, Justin has served his mission in 2011 in the Taiwan Taipei mission as shared in his journal. So how did the close cousin of the boys get to match up with this handsome young man one may ask? As I'm a very efficient family historian, the answer to the above question can be found in our family journal post of the last BIG familylane reunion of 2014 recorded here. It will happen in the same historic Salt Lake Temple as it did for Su and Jay in June 2011 as well as their parents when they were married as shared here. Somehow the sequence of events in the heart of Mormon country here in Utah links me back to early writings of our M & M culture of our family written in 2005. Today, I write it in terms of a Body Mind Spirit culture which the World might understand better irrespective of whatever spiritual beliefs or religion they may have. 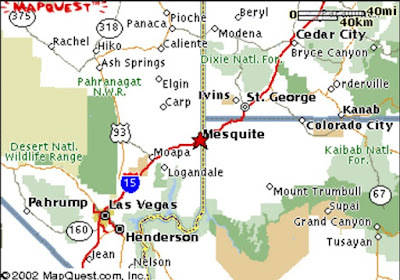 Right after initial family activities in the southern Utah valley, I'm off for meetings up north in Logan. 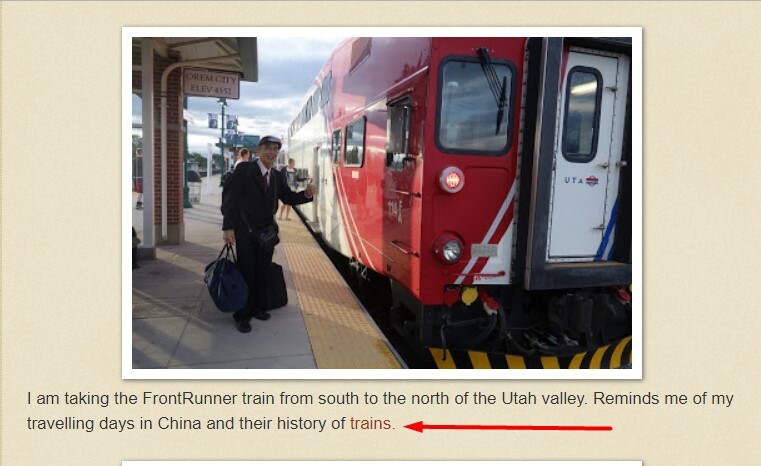 I am taking the FrontRunner train from south to the north of the Utah Valley. Reminds me of my traveling days in China and their history of trains. The Institute is under the Jon Huntsman School of Business in Utah State University. 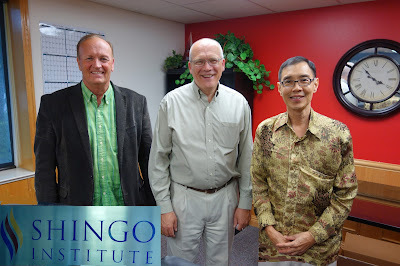 I am there to visit Gerhard Plenert (in the center) who is the Director of Executive Education in Shingo Institute with international best selling author Cevin Ormond. In the center is Ken Snyder, the Executive Dean of the Huntsman School of Business who is also the Executive Director of Shingo Institute. Originating in 1988, the Shingo Prize has become the world's highest standard for operational excellence. The recipients of the Shingo Institute's recognition fall into three categories: The Shingo Prize, Shingo Silver Medallion and Shingo Bronze Medallion. At lunch on the far left is Shaun Barker, the Director of Operations and Assessment. Further to the right is Ken Snyder and furthest right is Gerhard Plenert, both having been identified in the earlier set of photos above. First I took a shot of them. ... then the June 16 born baby as part of the celebration! So the June babies of our family were carried by the group for a fun pose while Grandpa had fun alone carrying the January baby to try to shelter her from the hot sun! Here we see our two Singapore Army boys in action, the Lieutenant holding his Sergeant steady from behind! ...but being infantrymen and not the navy blue boys, their boat turned over on landing on the water!!! All were hungry in the evening to be filled with Mexican Burritos, Tacos with rice and beans! After the Baby's Blessing was given to Leah at the home of the Lius, all of us adjourned to enjoy a Chinese dinner in a restaurant. Halfway now in our trip, it looks like this visit to Utah and our family activities of a reunion, temple ordinances, wedding preparations and lots of fun activities has been a continuous celebration for the June babies of our family, i.e. 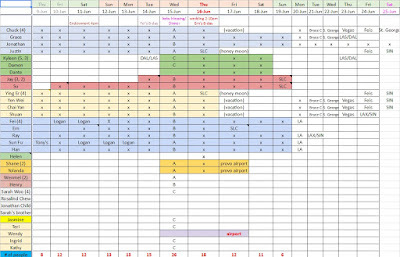 Fei Min on June 14 and Woon Ern on June 16. Whether everyone is spread out geographically all over the world or together in one place, we will try to celebrate or wish whoever is present physically or online. For rare moments like this June when we are all physically together in Utah, we had to squeeze in a narrow time frame when all was available or awake together to do our birthday celebration and cutting of cake ceremony as many family activities had been going on! Seen is Ern 21 cutting the cake while Fei 32 looks on carrying her niece who is bewildered by all the excitement going on! We now continue with a series of videos depicting the steps of a journey a groom needs to undergo in order to claim his Chinese Bride! I name it here, 'The Steps to reach the Seventh Heavenly Blessings' for Justin Liu! The above recording was hand videoed by zooming in from my table far away from the stage with my small Sony RX100 camera so it may be a little shaky but the resolution is still good due to it's Carl Zeiss lens! All the friends and family members of the bride Ying Er from Singapore knows how talented she is with music. Watch the video for the moment when the groom Justin Liu from Utah US bowled over the audience when he picked up the violin to play. A perfect matching couple indeed! Had to try the thick shakes from the well known Grannies shop in Heber City. The shakes are so thick they even stick out above the top of the cup level! At the Utah Winter Olympics Park, see what the 3 Stooges Boynie, Ernie, and Ray were up to! This was Ern's last day in Utah as he had to be the first one to fly back to Singapore to return to his army duties while on National Service. 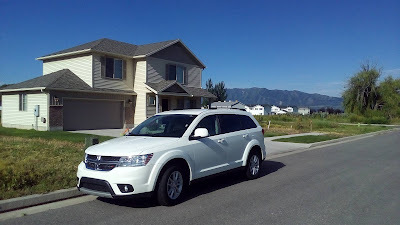 Rented a car from Logan to be able to drive back to Orem where the family was and to visit some friends with the little time I had outside of family activities. Glad to find 'Mumsie Bush' in a white blouse whose home we used as the bride's home in the wedding of Fei and Christoper in the summer of 2010. On the far left is her mother. I am sandwiched between two sisters of the Church, from left to right Annie and Theresa, whom I have known since I was a missionary in the early 80s in Malaysia! Coincidentally both these sisters today are linked to the city of Ipoh in Malaysia where I have kept good journals of shared here. We're invited to the birthday party of Dexter Tan's daughter and present is Miow Lin, carrying Leah, and her husband James Willis beside her in the center who came down from Idaho. The last time I met with James was by coincidence as he was seating in front of me in the plane heading to LA from KL on the 6th Day of the Chinese New Year of 2013. See the journal post here. With Cevin Ormond from SF on Vimeo. ... or maybe some of them were too busy themselves for me to visit them! Ern was the first to catch his flight back to Singapore for Army duties! The last photo at Church with Kylene, Jay's sister and husband Damon Gene before they return to Dallas. ... not forgetting Baby Leah!!! The first city out of Orem southwards to LA is St. George where the temple can be seen with the D on the standing for Dixie College. 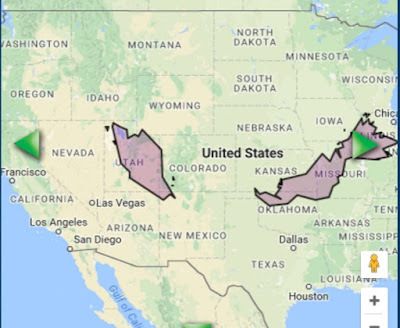 The length of peninsular West Malaysia is just slightly longer than Utah state only. Being familiar with both the US and Singapore due to my regular travels to both countries with family members living there, I feel the statistics collected for the above two charts do reflect my own personal gut feelings of the two countries in comparison with that of Malaysia! While we are in the topic of comparison between countries, the size of most countries in the world, including Malaysia, can be compared to a state in the US in this link. As the author of this blog post and the named family historian by the children, I do have the last say to share my thoughts and comments as I have done in recording the events and experiences of this 'Epic Journey' thus far. My classmate and a good friend today since the school days called me a Chronicler. As amazing as to how everyone got together with their own travel plan and separate flights to reunite in Orem Utah, everyone found their way back safely too in separate flights under their original plan from the beginning. 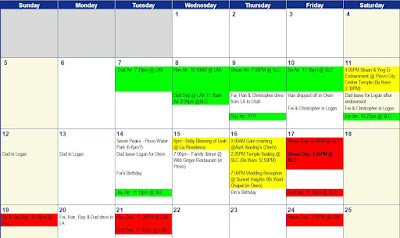 This does not mean that there was no coordination between all of us as the two older sisters I am aware were planning and coordinating the logistics of arrivals, accommodation, and departures in the US with a google calendar and spreadsheet with the two older brothers involved in the planning and coordination for us in Spore/Malaysia. Last minute occurrences or surprises to me for the youngest two children to be able to leave the island probably made the whole journey more significant or 'Epic'. 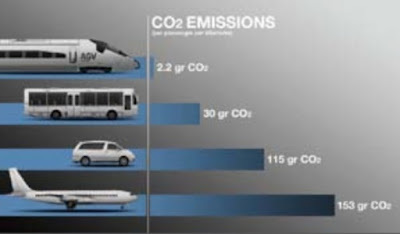 It was a great surprise as all thought it was not possible due to strict bureaucratic administrative rules of Singapore. In my earlier journals I had recorded, even with the help of a government minister of Singapore, my application to the ICA for a long-term stay in Singapore to particularly care for the two under-aged boys of the family after their mother passed away was rejected 3 times as shared here. From the photos/videos shared above, the trip to the US was packed with daily activities for everyone due to the multiple events of importance for different members of the family. Everything planned was played out well with each member of the family playing out roles volunteered or assigned. I must admit right from the very beginning of my adolescent years that God wasn't in my equation as a student of Science and Math. 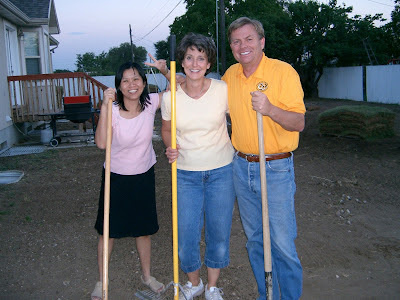 As I was turning to the golden age of 21, finding the power and truth of God to overcome my own weaknesses or infirmities was a major motivation to continue listening to the missionaries who knocked on my door. They found me in a timely moment during my last year of university in 1979. That changed my life forever to add a third dimension of spirituality into my life to put me in harmony with the Body Mind Spirit of Man that I had discovered. I had faith in God that everything would work out fine as I do the best I can. This perhaps was the self-determination that created a high level of energy for me personally. I would pray as if everything depended on God and live as if everything depended on me! In everything I do, I always have confidence I can do it. I would never choose to do something that I feel I have no confidence to do it or be able to manage it. So which comes first, the belief that you can do it or the fact that you already know you can do it because you have somehow practiced sufficiently in the past to gain confidence? I guess I must have played in my own mind the little "What if...?" experiments during my lifetime! This possibly developed my constant learning mindset to be prepared for changes and new possibilities always. The rich experiences of my life were recorded in my personal journals since the age I was about to turn into an adult and have been maintained to this day. I trusted in the upbringing that the children had, one with great blessings from a Father in Heaven whom my wife and I as parents believed in and acknowledge his perfection and plan for us. I have great faith and trust in each and every one of our children, knowing that they came from the same Heavenly Father, the origin of all our roots. My wife and I nurtured them when they were young with love and respect as we had received from him! From our family experience, I had learned that one needs sufficient faith in others before one can be a leader to build a good team! This became a positive attitude of life that I possessed or a simple love of others. I believe I could help somebody else outside my nucleus family if I had faith in them too. By the same token, it is easier for anyone seeking help to have faith that there is a Father in Heaven who loves them, that they can have faith in themselves to overcome challenges as well as have faith in others who can give them the best help needed in their situation. I found harmony back in Kuala Lumpur to tone up my Physical, Mental and Spiritual condition. Put in another way, I am realizing that 2016 is the defining moments of my life to launch what I have always been working on or felt was my foreordained purpose in life i.e. to be a Community Service First person. My wife and I have sacrificed much for our own nucleus family. She most likely personally did even more than I did as she was a full-time mother at home with the six children. I was always preoccupied with business management, church leadership and of course with family responsibilities too that came as the appointed head of the family. 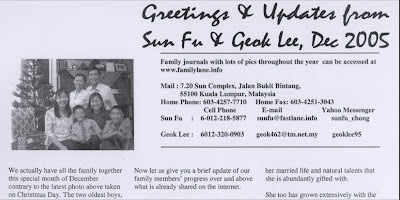 I also had some other extended family responsibilities too in Malaysia for those who were aging and I was the youngest who could help or was the only one willing to do it. I couldn't do much in the last 10 years as there was much uncertainty about my wife's battle with cancer in Singapore. After her death, the uncertainty of how to care for the two younger boys with the necessity as the father to constantly go in and out of the island without a long-term stay visa prevailed. To see how everything turned out well finally on this Epic Journey to the US gives me continued hope of the Future as I continue to live productively Today and reflect on the Past to give me wisdom. The Epic Journey continues....for everyone in their own community, Dad in KL, Fei in Los Angeles, Su in Boston, Han, Ern, Ray in Singapore with Shuan on a mission in London England. 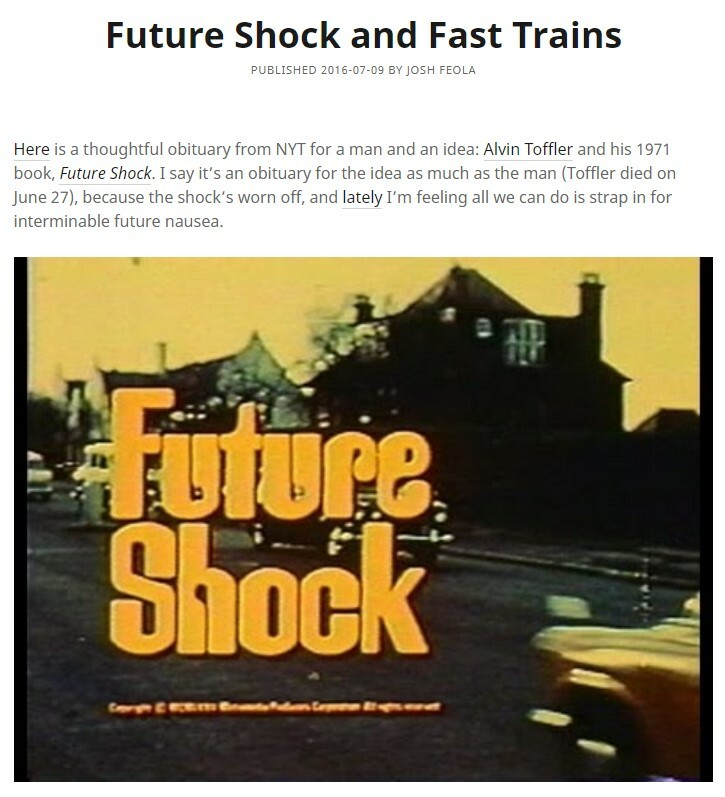 After we left the US to return to Singapore, the news of the passing of an author who wrote the 'Future Shock' was released in the month-end of July 2016 but it did not come to my attention until today. The book was published in 1970 and I remember it well as I was read the book in my secondary or middle school days in Kuala Lumpur in the 70s. I most likely read it in my 8th or 9th grade in the American school system. 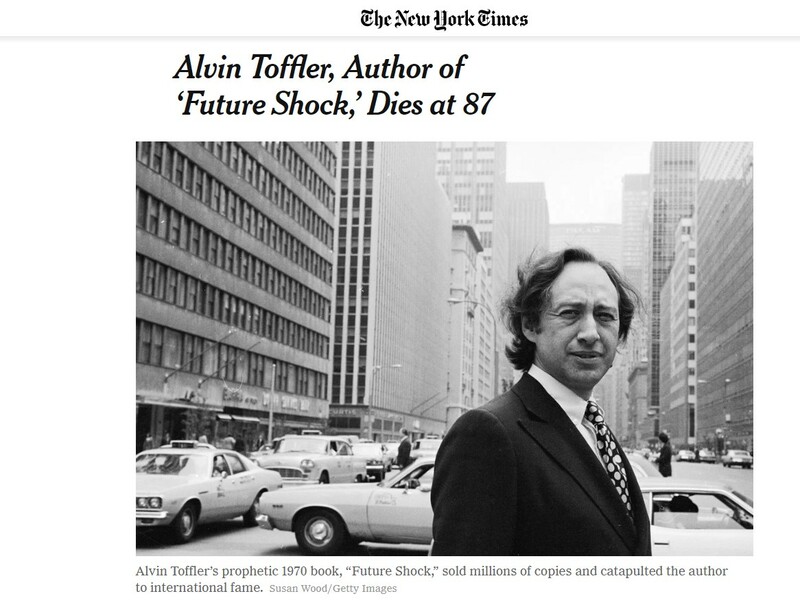 The book created such a great impact on me that subconsciously today, I am reminded to create a memorial post for Alvin Toffler with some shocking coincidences in reading about his life! This is SURREAL to have this happening to me now. Look at my Facebook post that I just embedded below! Facebook created an auto memory post as seen above choosing a photo that comes from the top of this post I was working on! I know there is no collusion or synchronization between the two apps as Facebook does not own Blogger but Google does. Click here to scroll up this post to the same photo of us in the 7 Peaks Water Park in Provo Utah. Isn't that strange? 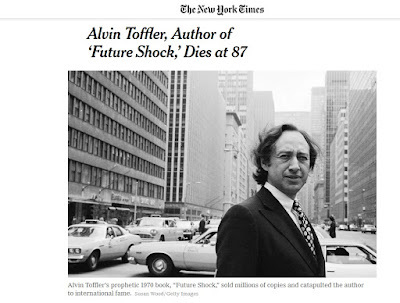 Ok I did all the live stuff that just came to me and have shared it above so I can now continue to finish this post-dated section that will be added to a special Memorial Post under the name of Alvin Toffler in a list of deceased people found here. The news in the New York Times with the photo above can be read here. While doing this post on a Saturday afternoon, strange things started happening. I noticed in one of the online posts, the theme of Fast Trains and China was related to Alvin Toffler that I was never aware of or can remember from reading his book so many years ago. Why I say strange things are happening is I started checking out another online article covering Alvin Toffler due to his passing to see an emphasis on Fast Trains and even the Nation of China was mentioned. 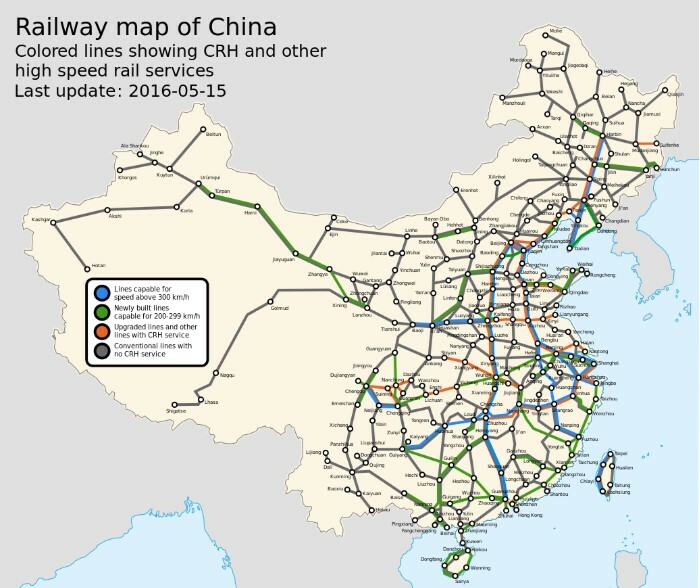 See the screenshots below extracted from the article and click here to read the section of my blog post above done 2 years ago that also made reference to trains and China. If you had clicked the link above it will bring you to the top of this blog post to this pic with the link highlighted with the red arrow above in the screenshot photo. To save a step, to go to the online post of my trip to China, just click here. This relationship between my earlier post and the latter section of the post below done with no reference to what was written or posted above because I only felt it was appropriate to add it to the bottom of our reunion post as I checked that his death date was just after our reunion trip was over. Isn't it strange that Alvin Toffler's life I was writing about at the bottom of the same blog post had references to Trains and the country of China mentioned at the top of the post too? This is the online article that enlightened me that Alvin Toffler became China's favorite futurist! Then the auto Facebook memory post of our reunion photo appeared and prompted me to do the crazy live video above that turned out well to share the state of excitement I was in or what I get when I'm writing my Chronicles of Life! 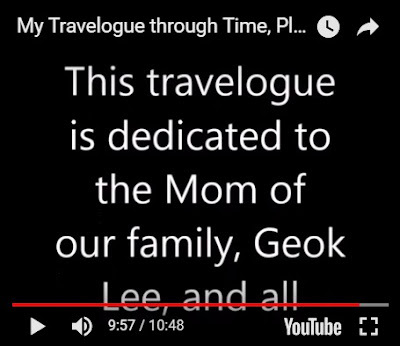 Click the above video to watch a new millennium video made with beautiful music composed by my son to manifest my appreciation to my wife whom my book is dedicated to also. She helped make many things possible in the past for me when she was alive and even after she passed on, according to my beliefs and experiences, she has helped me to reach where I am today and will continue to help me in ways shared in my first book on the theme of Human Consciousness, especially mine. Click the video below to watch an old millennium video made with the content of Alvin Toffler's 'Future Shock' book which helped me adapt successfully from the past to today. 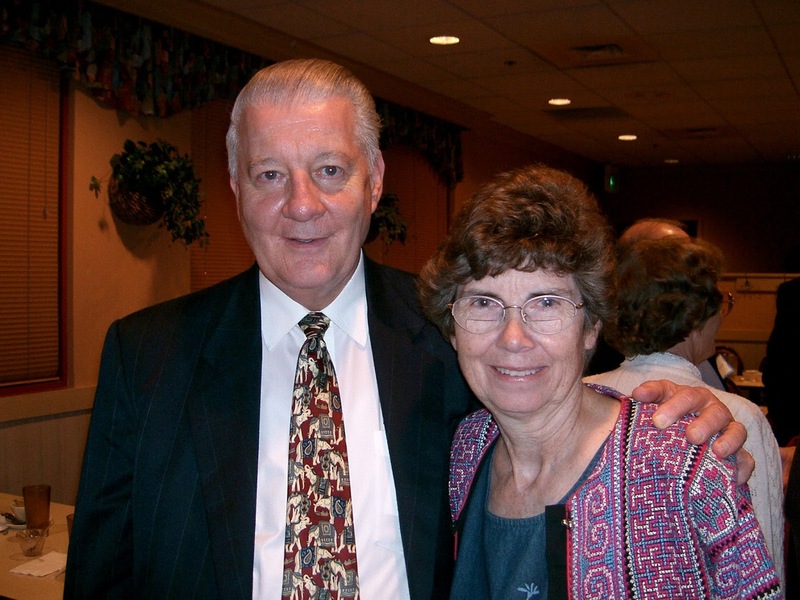 He permanently changed my Consciousness of viewing the future and the miracle of today's event of remembering him to create this post helps me continue to move forward into the Future with confidence that the force is with me.